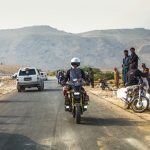 Learn To Change Tyres? Why Should I?! Guest writer, SUE, explores the one must-have skill that most drivers actually don’t have. 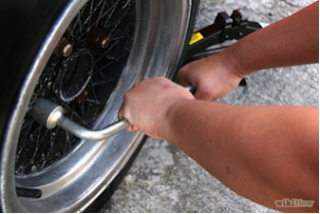 In Malaysia, we are given a brief lesson on changing tyres in the process of obtaining our driving licenses. I was one of the many girls who stood right at the back, either talking to the other girls or pretending to listen. But I was eventually prompted to educate myself on the nitty gritty of tyre changing because just last Friday, my boss asked me the same question. And yes, you guessed it, my answer was exactly the same as above. He then proceeded to furnish me with scenarios of ‘what ifs’ – What if I was alone? What if my mobile phone had run out of battery? What if there was no phone service? What would I do next? 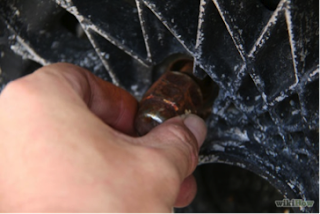 Make sure that, in times of tyre emergency, you are equipped with a spare tyre that is in good condition, a jack and a mindset that you’re going to do this right to the end, whatever it takes. Firstly, apply the handbrake and put the gear into Park position (for auto transmission) or Reverse (for manual transmission). 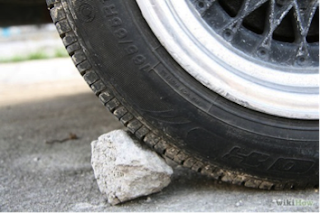 Next, place a heavy object like a rock, a piece of concrete or a spare wheel in front of the front and back tyres. 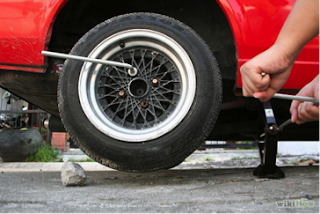 Place the jack under the frame next to the flat tyre. The jack must be in contact with the metal portion of the frame. Raise the jack until it supports (but doesn’t lift) the car. The jack should be perpendicular to the ground and firmly in place against the underside of the chassis. Loosen the nuts (counter clockwise), but do not remove them. 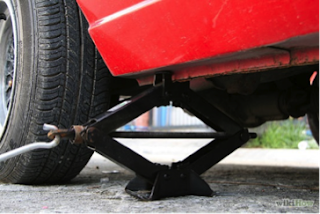 Crank the jack to lift the car higher, until the flat is lifted off the ground. Now you can remove all the nuts. Remove the flat and place it under the vehicle per chance the jack fails. 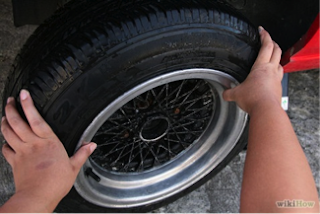 The flat tyre will be able to cushion the vehicle if it drops. 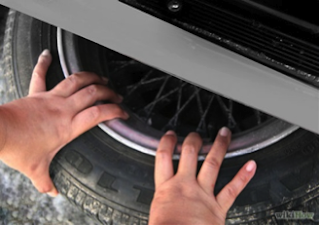 Now you can put the spare tyre in place, taking care to align the rim with the wheel bolts. 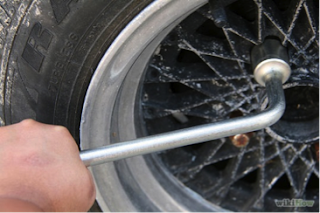 Put on the lug nuts that you had earlier removed from the flat. Secure the nuts in place by hand before using the wrench. Work on the nuts in a star pattern so that the tyre is balanced. Do not tighten it one by one. The nuts do not have to be completely tight yet at this point. 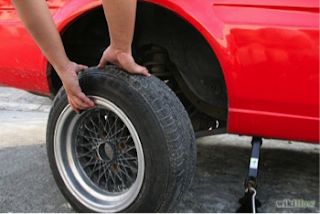 Lower the jack without allowing the full weight of the car to rest on the spare tyre. Tighten the nuts again. Lower the car all the way and remove the jack. Tighten the nuts all the way and then replace the hubcap. Place the flat tyre in the boot (also called the dickie in South East Asia, as I recently found out). 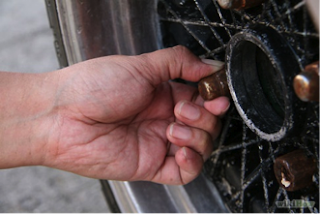 You can get a mechanic to fix a puncture for a minimal cost. In Malaysia, it costs less than RM50. 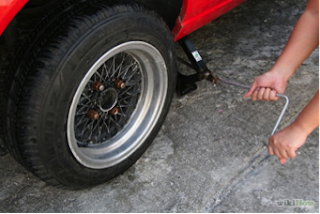 If the tyre cannot be saved, then the mechanic would be able to dispose of the tyre properly and sell you another. This is exactly how my girlfriends and I would act when changing tyres ourselves. So, now I actually know how to change a flat…in my mind, of course. One of these days, I might have to do it for real and I’ll be proud that I actually did it all by myself. 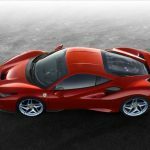 The Most Popular Car Colours - What’s Yours?